Evidence for a charged Higgs Boson? Last week Upsala was home to a specialised HEP workshop about the search for a charged Higgs bosons. Such particles are predicted in some beyond standard model theories such as supersysmmetry. There is not much direct evidence yet for such charged scalar bosons but the searches as described at the workshop have not looked beyond the 2011 data using 5/fb at most. There is still a lot of room left for them to appear. The best hope for BSM observations in the data so far comes from anomalies in the Higgs decay rates. In particular the decay to two tauons has not been observed where expected and the rate for decay to two photons is too large. In my opinion the tau decay is not a very convincing discrepancy yet because the stats are low, especially because ATLAS has not yet done the analysis with 2012 data. The diphoton excess is also not fantastically convincing with a combined significance of about 2.2 sigma according to Joe Incandela (CMS spokesperson) but it has persisted since 2011 and is seen by both ATLAS and CMS. It is probably too big to be explained by theory errors from the analysis of the standard model so some BSM explanation is a real possibility. Both observations will be considerably clarified at the Hadron Collider Physics conference in Kyoto next month. Meanwhile there is little to stop theorists thinking about what could account for such anomalies if they turn out to be real. This is not just idle speculation. Any theory that might explain the anomalies could make unique predictions for new physics that could prioritize the searches to help the collaborations home in on new physics more quickly. This is crucial to plan future accelerators. The diphoton decay channel is especially sensitive to new physics because the basic Higgs boson is not charged. Photons only interact with charged particles so the Higgs can only decay to photons via loop diagrams that include massive charged particles. We know of several such particles in the standard model and the ones that contribute the most in this case are the W bosons and the top quark. If you know anything about the type of Feynman diagrams involved you will know that bosons and fermions in loops interfere deconstructively. In this case the W bosons have the larger amplitude and the top quark reduced it by about 40%. This means that to increase the decay rate and explain the tentative excess you would need to postulate the existence of (at least) a new heavy charged boson, such as a charged Higgs scalar. It has to be heavier than about 105 GeV otherwise it would have been observed at LEP, but upper limits depend on its properties. As it happens there are phenomenologists who are too skilled at their job so that they can explain the excess in many other ways, e.g. using “vector-like” fermions or a fermiophobic Higgs or even just QCD corrections. I am simply going to be skeptical and suggest that they are thinking wishfully about their pet theories. To the unbiased mind the new charged boson is the most obvious explanation for an excess. That still leaves open the question of what spin ( and other properties) the boson has. A spin one charged boson would have to be very similar to a W gauge boson and would mediate new forces. The limits on such new particles is already good. Higher spin would make it a charged graviton. Let’s not go there. Another major parameter for a new particle to determine is its lepton number. If the particle had lepton number one (like a scalar lepton) then its R-parity would be odd. All standard model particles have even R-parity so if lepton number is conserved our mystery particle would either have to be stable or decay to another new stable particle. Heavy charged particles are easy to detect and lighter stable particles would be hard ot miss at the LHC. ATLAS and CMS were designed with missing energy searches in mind so that they could look effectively for supersymmetry. Indeed a scalar tau would be a good candidate except that SUSY searches have already gone a long way to exclude them. So there are many possible explanations for the diphoton excess, if it is real physics, but the scalar charged boson with zero lepton number is the simplest case that still has a good chance of being around still. Any such scalar charged boson would immediately be identified as a likely charged Higgs if it was found. With so many contributions all adding to the diphoton excess the charged Higgs can comfortably be heavier than limits set by direct searches so far. Soon we will get more information with a better determination of the excess and better charged Higgs searches. The 2012 data at 8 TeV will be much more penetrating than the 2011 data heavy new particles and by now we have three times as much of it. Of course this story could go in many directions from here. The diphoton excess may fade or be explained by better standard model calculations. It might even be some systematic error symptomatic of a less than perfect understanding of the detectors. If it does hold up there are lots of new physics possibilities, but if I had to put my chips down at this point I think the charged Higgs has the best odds all things considered. It’s that time of year again when we anticipate the announcements of the Nobel prizes. The action starts on Monday with the medicine prize and you can of course watch it on a live webcast. The physics prize is revealed on Tuesday. Will it go to Higgs theorists? I suspect that they will have to wait for next year because the discovery is too recent. Nominations must be in at the start of the year. Yes I am sure they will have already received nominations for all likely candidates but due process should require that they wait for nominations after the discovery I think. CERN are saying that by the end of this year they will have a good indication of the spin on their “new particle consistent with the Higgs boson” and then (if it is zero) they will claim it is the Higgs rather than a spin two graviton. It is of course an arbitrary line in the sand. They could accept that it is the Higgs boson on current results especially if the Tevatron evidence for decay to bottom quarks is accepted, or they could draw it out for many years by requiring that the particle’s self-coupling be checked. Meanwhile our poll of who should get the prize for the Higgs Discovery is still open if you want to play guessing games. If you also want to guess who will get the Physics prize (or any of the other science prizes) this year you can leave a comment below. If you want to get a really good idea of who is in the running just check the recent awards for other science prizes as listed comprehensively in Wikipedia. Chances are that the laureates for this year will have already been honoured with some other prize, most likely the Wolf Prize in medicine, chemistry, biology or physics. Usually the Nobel committee put them in a different category to make us think that they thought of it independently. Just for fun I will predict that this year’s physics prize will be technology based and my favourite candidate is Fujio Masuoka for his invention of Flash memory. Just think of the impact that has had on mobile devices. Most of the other crucial components that have made all the best gadgets so powerful in recent years have already been honoured. 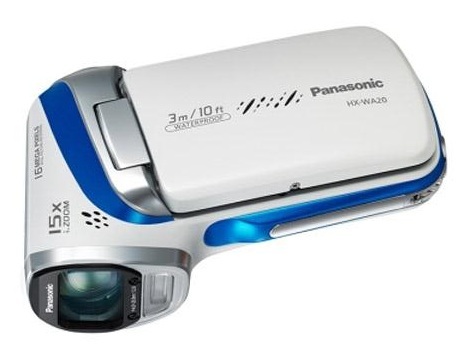 Get yourself an HD camcorder and slap a 64GB flash card in it, isn’t that worth a Nobel? Update 9-Oct-2012: Less than an hour to go and speculation is rife. I still think they will skip over the Higgs boson this year but a few points may indicate otherwise. They wont want to fall into the trap of waiting a year and having one of the main candidates shuffle off his moral coil while he waits. As far as I know they are all in good health but old. Another factor is that media exposure will be better if they award a Higgs Nobel today, in fact there may be a backlash if they dont. Even the austere Nobel committee can’t ignore the lure and ire of publicity. There have also been hints from the committee that they could award a prize to an organisation, e.g. CERN, ATLAS, CMS, LHC, Fermilab. 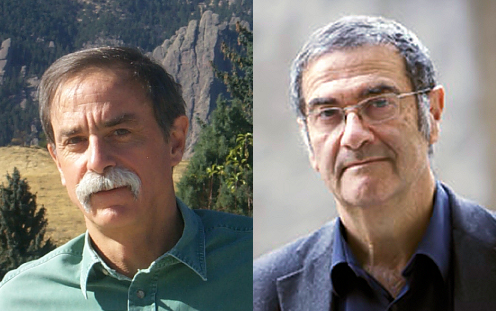 This could be used as the third share of the prize if two theorists are awarded (Higgs and Englert) or they could issue a joint experimental prize e.g. ATLAS+CMS, LHC+Tevatron etc. Tevatron could be included citing contributions to Higgs and the top quark discovery. I don’t think there will be a prize for some of the quantum work that is frequently put forward. The Nobel worthy discovery will either be very fundamental and ground breaking or it will have wide-reaching practical application (or clear potential for it) Work that verifies basic predictions of quantum mechanics just does not cut it, in my opinion. You are currently browsing the viXra log blog archives for October, 2012.